A deeply moving story of a man who brought up his son by himself, and his son who respects his father, who has a normal yet sincere life. A teacher in an urban city of Shinshu decides to quit his job after his student dies in a tragic accident in a school trip. He decides to leave his junior high school son at a dormitory and move to Tokyo. His son grows up to graduate university and follows his father's foot steps to become a teacher in Sendai. Occasionally, they travel together to a hot spring to spend time with each other. 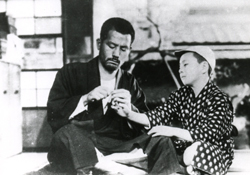 As time goes by, the son starts to think he wants to move to Tokyo to live with his father; however his father makes him aware to keep his current job in Sendai. 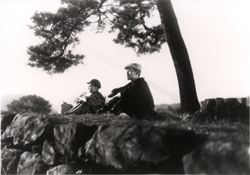 This remarkable film features the famous cinematic scene where the father and son goes fishing, and is considered to be one of the best from Yasujiro Ozu.